You may choose between tiered commission charges based on monthly volume, or flat fees irrespective of volume. You can choose between Straight-Through Processing of orders or a hybrid model. Our volume fees are competitive and especially favourable for startups. Give your brokerage the advantage of stable and deep liquidity across a wide range of assets. Due to our longstanding relationships with Tier-1 global institutions, we can offer you an unparalleled depth of market that allows you to execute large trading volumes with pricing consistency. We stream stable, aggregated liquidity for over 80 Forex pairs, 14 Indices, Metals, Energies and other CFDs. Our detailed reporting enables you to evaluate all trading data for maximum post-trade transparency. You may access multiple liquidity provider data streams via FIX API, and at the same time, enjoy the strategic advantage of having all the components of your business under one roof; cTrader requires no middleware to connect to TopFX liquidity, ensuring seamless integration and optimal functioning. Experience ultra-low latency with our Equinix Data Center in LD5 and benefit from rapid execution speed and a stable, uninterrupted price feed without gaps, downtime or spikes. cTrader's interface for manual trading is a premium, cross-device, DMA platform which boasts an impressive array of trading and risk management tools, able to satisfy even the most demanding trader. The Copy functionality of the platform enables you to respond to the market's demand for efficient copy trading and capture an ever-growing number of traders who are seeking to copy top performing strategies with a proven track record. For automated trading, cTrader offers the "Automate" functionality allowing you to attract either traders who prefer using robots to trade or algo traders who are looking to develop their own cBots and custom indicators. 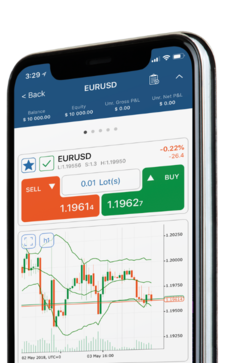 cTrader's app for Android and iOS is a highly efficient solution that makes no compromises on execution speed, trading tools and risk management features. With mobile trading becoming more common for traders, the market demand for robust applications is increasing drastically. Our All-in-One solution allows you to offer your clients exceptional cross-device trading capabilities and gain an edge over your competitors. Our All-in-One Broker Solution gives you access and control over your own cBroker, enabling you to manage a high volume of users through a simple and intuitive interface. cBroker features a wide range of marketing, administration and management tools such as access rights settings, password management and flexible client grouping functionalities. cTrader is supported by cServer, a scalable cloud based solution, with ultra-fast internal processing and zero downtime. 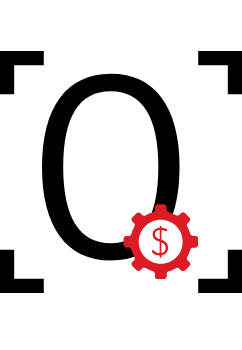 Built on a highly efficient architecture, cServer allows for STP or hybrid execution and asynchronous order processing. Besides the advanced options for order management, cServer provides you with ultimate security in case of unauthorised attempts for malicious connections by routing all traffic through a proxy cloud. The operational system is highly reliable and has an established failover infrastructure as well as server components resistant to reverse engineering. Launch your branded brokerage with a complete website. Our marketing team of talented professionals will help you build it in the best way possible. We offer you a seamlessly integrated CRM so you can manage interactions with clients and improve your productivity. We assist you with setting up a fully functional business bank account that you can use for all your corporate transactions. We provide you with payment solutions via established PSPs, which we have carefully chosen based on their reliability and cost-effectiveness.